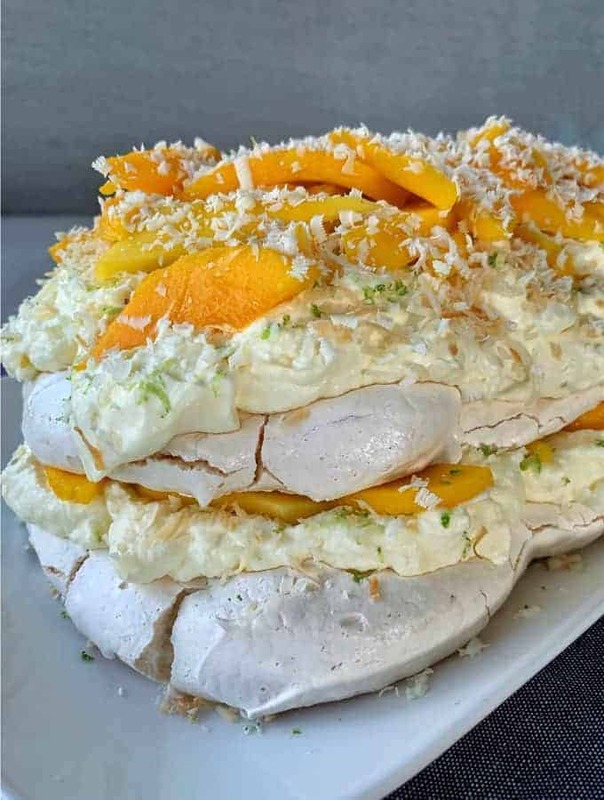 This mango pavlova is the perfect dessert for a special occasion. 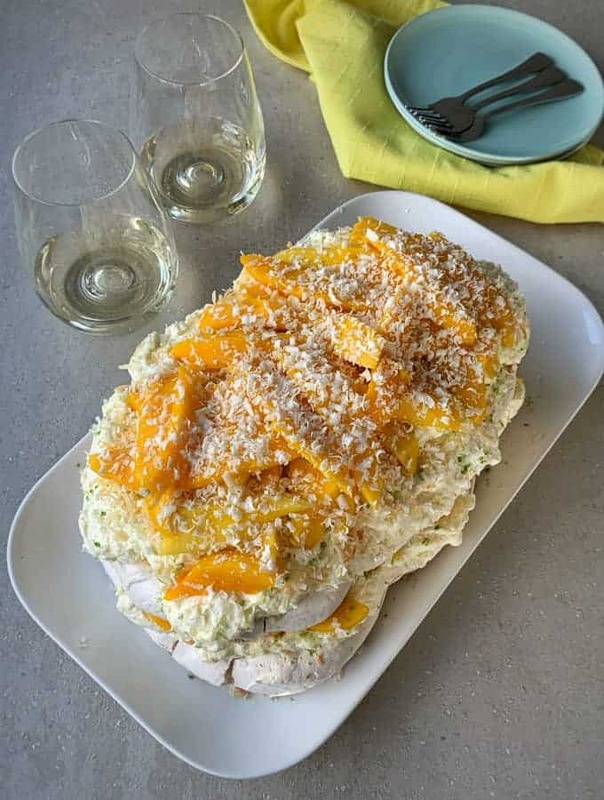 It is layered with cream, lime zest, crunchy pavlova and juicy mango. 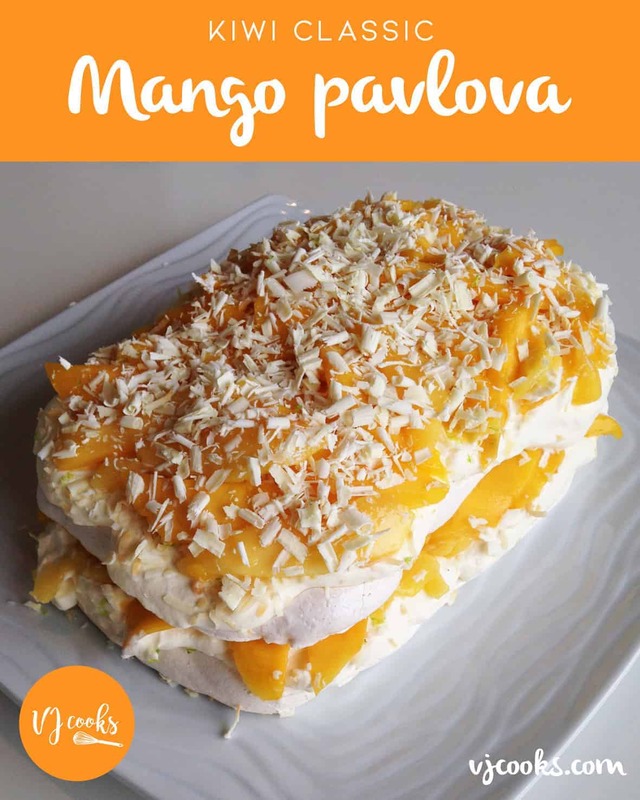 This recipe for mango pavlova was one of the first recipe videos that I created. 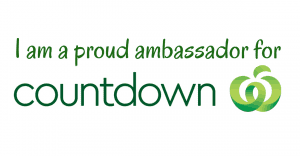 When I added it to my new Facebook page back in 2016 it had 50,000 views in the first 3 days which was so exciting for me. It is super easy to make and the layers make it look very decadent. 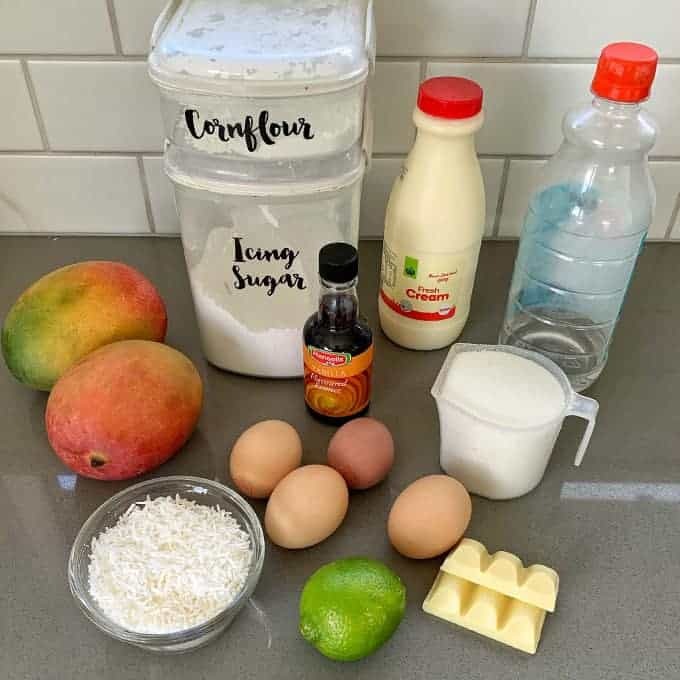 This pavlova has a tropical theme to it and it is filled with whipped cream, toasted coconut, lime zest and then topped with juicy mango slices. I like to finish it off with grated white chocolate, it brings all of the flavours together. First of all you make the two rectangle shaped pavlovas and bake them in the oven for one hour. 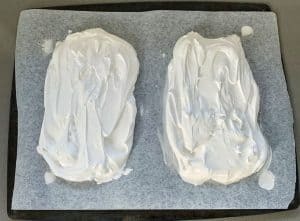 I like to let my pavlovas cool down in the oven once they have been baked. This makes for a nice crisp outside and soft centre. Once the pavlovas have cooled down top them with the delicious toppings. If you can not find ripe mangos you could use fresh berries, passionfruit pulp or kiwifruit instead. 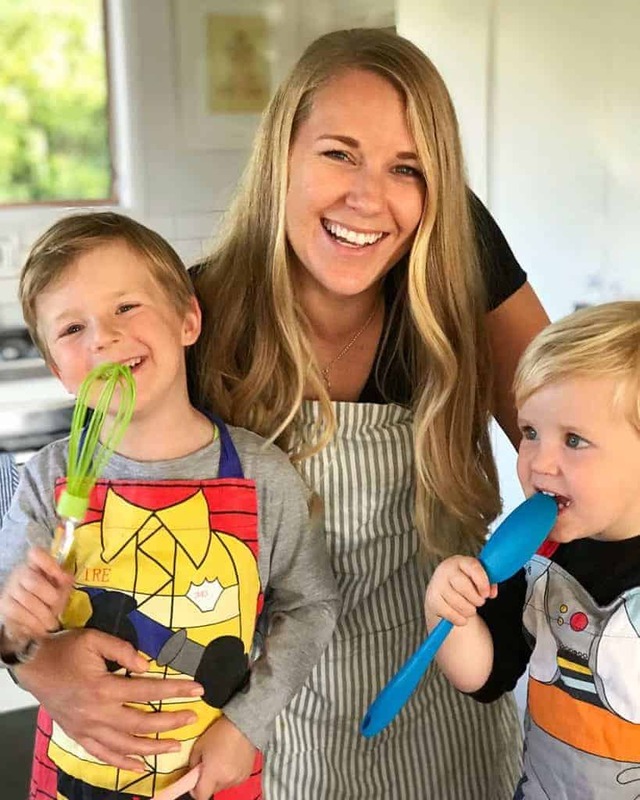 If you want to impress your friends you should make this for your next dinner party or take it along to a special occasion. Serve your pavlova immediately if possible or you can keep it in the fridge for a few hours if you want to make it ahead of time. 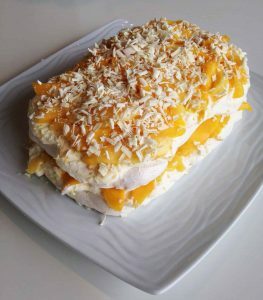 You can't beat this layered pavlova with mango, lime and coconut for a tropical twist on the classic Kiwi dessert. 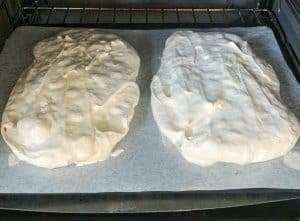 Pre-heat oven to 120ºC and line a tray with baking paper. 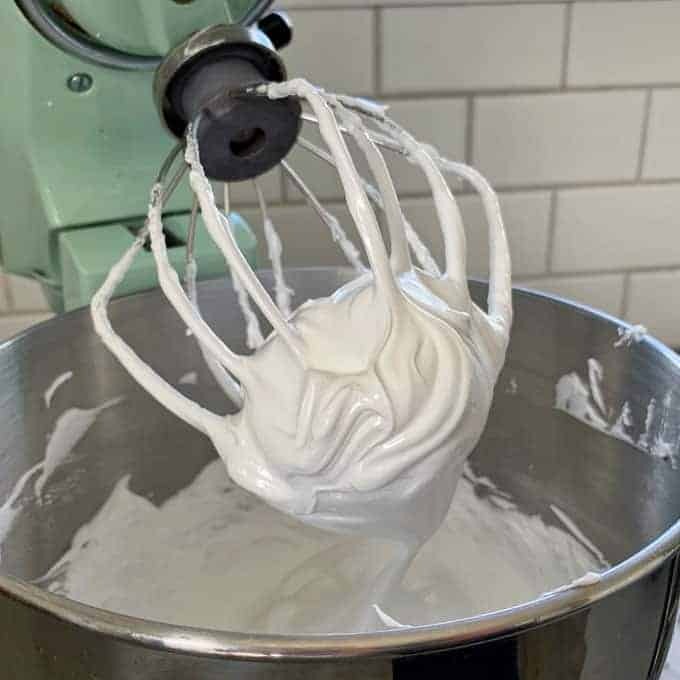 Whisk egg whites until stiff, add caster sugar 1 teaspoon at a time and keep beating until very stiff. Add cornflour, vinegar and vanilla essence and fold together. Spread two even rectangles onto tray and bake for one hour. Turn off oven and leave the pavlova inside to cool. Spread coconut onto a tray and bake until golden. Cut flesh off mangoes and thinly slice. Whip cream with icing sugar and spread half onto first layer of pavlova. 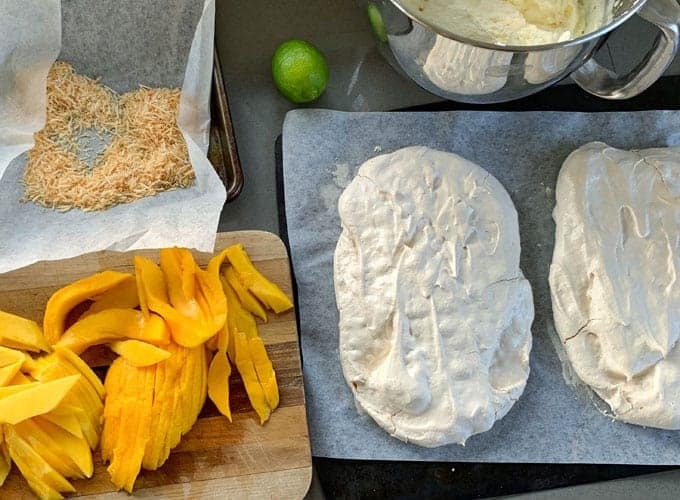 Scatter over toasted coconut, grate over lime zest, layer half of the mango slices. Add second layer of pavlova, cream, coconut, lime zest and the rest of the mango. Grate white chocolate over the top and serve. Alternatively this recipe would work well with fresh berries and dark chocolate.